Crafted about 1915, this traditional sofa, hall or foyer table has a solid cherry top with other hardwoods. The sturdy base with turned spindles has been reglued to serve another generation. 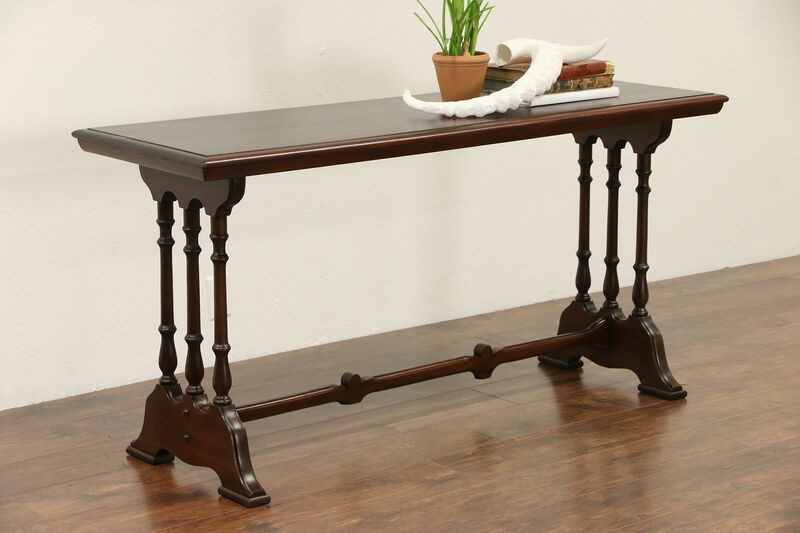 American made antique furniture, the renewed finish is satiny. Size is 5' long, 20" wide and 29 1/2" tall.